Ever since the 2016 presidential election, it has been nearly impossible to remain optimistic about the future of the country — this perpetual state of uncertainty often interferes with the way that we carry on our daily lives, including what should be joyous moments like celebrating the holidays. Instead of stressing over shopping for presents that may or may not even be needed, try giving experiential gifts — or ditch the gift exchange altogether and just spend some quality time with your loved ones. A huge chunk of our earnings is spent on housing — it's the hefty price we pay to live in the Bay Area. So, why not take advantage of the vast area we call home? Instead of hitting the mall or clicking on Amazon, get creative this holiday season. A hidden gem for many — unless you're an avid hiker or happen to follow Jeremy Brautman, the "accidental Ladybug expert" on Instagram — is The Lady Bug Hotel. 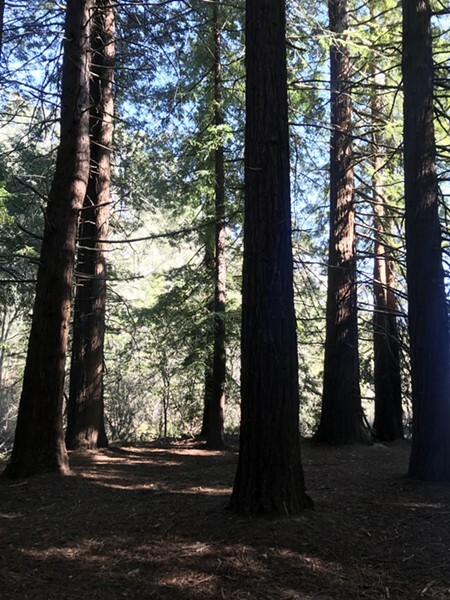 Every winter, roughly from September through early March, millions of ladybugs take residence at the "hotel" spanning Redwood Regional Park, Huckleberry Botanic Regional Preserve, and Joaquin Miller Park. As you make your way through the stream trail, you will see countless little friends on leaves and on fallen logs. They prefer to stay tightly together, so it's easy to spot clusters of them as you continue walking along the trail. This is the perfect family adventure, especially if you have family coming from out of town. (How many out-of-towners can say that they have a hotel with such distinguished guests?) It goes without saying, but we'll say it anyway: Be respectful of mother nature and mindful of the residents of the woods. How about showing some love to your co-workers? They are, after all, the people you spend the most time with outside of your immediate family — for some, that's more than eight hours a day. The white elephant game is all fun and all until you get stuck with a lavender-scented candle. Sharing a meal is probably the best thing to do with co-workers. You can plan a potluck so everyone brings a dish to share, or you can gather your second family and have lunch at one of your preferred spots, or you can order food to your office while simultaneously doing a good deed for local youth. We are not talking about of those meal-delivery apps. Instead, look to The Town Kitchen. Founded by Sabrina Mutukisna in 2015, based in Oakland, and mostly women- and minority-owned, The Town Kitchen provides employment to foster and re-entry youth ages 18 to 25, while also paying them an average wage of $15.65 an hour. These young adults also receive college course credit and entrepreneurial skills. You can order breakfast or boxed- or buffet-style lunches, all prepared with quality, local ingredients. Talk about a scrumptious meal that also helps the community. Oakland Athletics vs. Houston Astros on Aug. 18. 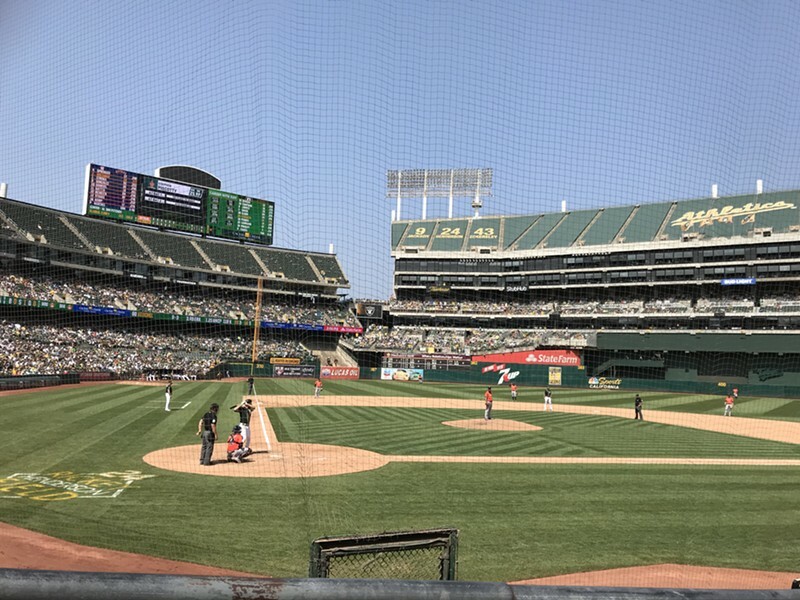 For diehard A's fans — who go to the good ole' Coliseum regardless of how good or bad the team is doing — what better way to show your love than with tickets to a game? Sure, you can buy tickets at the box office or at one of the automated machines found at the Coliseum grounds — or you can venture into the A's Access Program, which launched during the 2018 season. The program, which is slightly confusing yet extremely rewarding, grants you access to assigned seats for between 10 and 81 home games, half-price concessions at every game, food and drinks, and a 25 percent discount on merchandise at team shops. By being a member, regardless of which plan you choose, you get to attend every single home game of the season. If you don't have an assigned seat for a particular game, show your pass at the gate and head over to the Tree House. You won't have access to the rest of the Coliseum, but you'll get to watch the game from this newly opened area. Best of all, the membership — which starts at $240 for the entire season — can be paid in monthly installments. It's an affordable way to be at every home game, despite not having the kind of money needed to become a season ticket holder. Also, this is one of the last chances to be part of the history of the A's at the Coliseum before the team finds a new home. Imagine how happy you'll make the biggest A's fan in your life by gifting them this membership. If you want to support the arts while also help promote social justice, La Peña Cultural Center in Berkeley and EastSide Arts Alliance & Cultural Center in East Oakland are two places that offer a wide variety of programs, including musical performances, dance, theater, film, and art exhibits. On Dec. 1, La Peña will host its sixth annual Holiday Tianguis — an open-air market or bazaar featuring 30 local vendors selling unique handcrafted goods that will beat any generic item found at stores. Over at Eastside Arts Alliance, you can plan a date night to check out Holla Back!, an open mic series returning on Dec. 6. Of course, tickets to a concert is always an excellent gift choice — how about Willie Nelson at the Fox Theater coming Dec. 13 and 14, or Sir Elton John at Oracle on Jan. 18, or perhaps you want to keep it hella Oakland and go see Tony! Toni! Toné! during the band's residency Dec. 13 through Dec. 16 at the newly renovated Yoshi's?